Marjory Stoneman Douglas student Cameron Kasky asked Sen. Marco Rubio, R-Fla., if he will continue to accept money from the NRA during a CNN town hall meeting on Wednesday. Florida Sen. Marco Rubio says he would support raising the age limit to 21 for those wanting to purchase AR-15-style rifles. "If you are 18 years of age, you should not be able to buy a rifle," Rubio said at a CNN town hall meeting Wednesday night. "I will support a law that takes that right away." Rubio, who has an A+ rating from the National Rifle Association, said he does not support arming teachers, but does support background check regulation reform. Rubio also said he was "reconsidering" his position on high-capacity magazines. "I'll tell you why," he said, "because while it may not prevent an attack, it may save lives in an attack." The comments represent a softening for a lawmaker whom the NRA has endorsed and praised as someone who has "vigorously fought to promote and defend the right to keep and bear arms." One week after the deadly shooting at a high school in Parkland, Fla., that killed 17 people, lawmakers and a representative of the NRA faced tough questions from students, teachers and parents at a CNN town hall meeting to discuss how to prevent such tragedies in the future. Rubio was joined by Sen. Bill Nelson, a Democrat, and U.S. Rep. Ted Deutch, D-Fla., started by answering parents and students at the event in Sunrise. Rubio was the lone Republican lawmaker on the panel, as CNN's Jake Tapper said both President Trump and Florida Gov. Rick Scott declined invitations to attend. Throughout the event, Rubio found himself in the hot seat, fielding the majority of the questions. 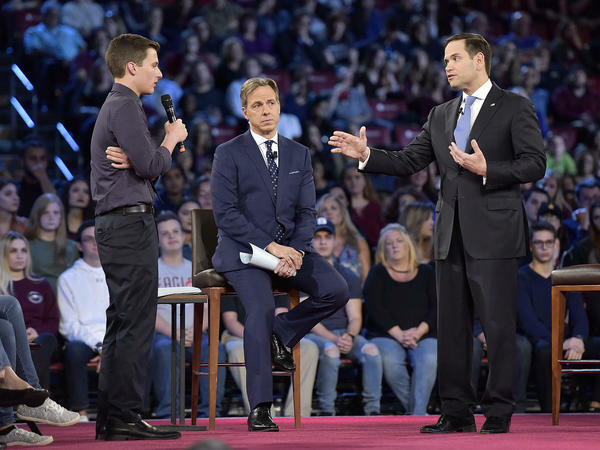 One of them came from Cameron Kasky, a junior who survived the massacre at Marjory Stoneman Douglas High School, and drew cheers and applause from the audience: "Sen. Rubio, can you tell me right now that you will not accept a single donation from the NRA?" Rubio's response did not appear to satisfy the audience: "These positions I hold on the Second Amendment, I've held since the day I entered office in the city of West Miami as an elected official," he said, adding, "People buy into my agenda." The Florida senator also said it is not the NRA's money that has a large impact on gun policy. "The influence of these groups comes not from money," Rubio said. "The influence comes from the millions of people that agree with the agenda, the millions of Americans that support the NRA." When Sen. Nelson was asked by junior Samantha Grady — who was shot twice at at the school last week — what he would do to strengthen background checks, he said that there are so many other things that can be done, but that "when you get right down to it, the gun is what is going to do the killing." Nelson added, "I've always had guns. I've hunted all my life. I still hunt with my son, but an AK-47 and an AR-15 is not for hunting — it's for killing." Deutch furthered Nelson's sentiment, challenging Rubio, who said there were too many loopholes in assault weapons bans. 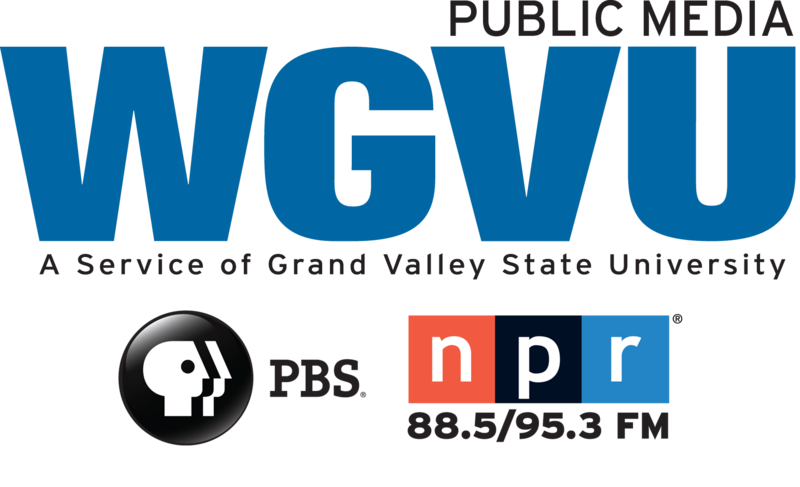 "If there is a problem with the assault weapons ban ... if there was a problem with the way that was written, if there were too many loopholes for people trying to get around it to utilize, then let's bring up the assault weapons ban and close all those loopholes, so we have a bill that keeps people safe," Deutch said. National Rifle Association spokeswoman Dana Loesch offered the organization's response to the massacre. When asked by Emma González, a senior at Marjory Stoneman Douglas, if it should be harder for people to obtain semi-automatic weapons, Loesch focused on the mental state of those purchasing firearms. Speaking about the gunman, 19-year-old Nikolas Cruz, Loesch said, "I don't believe that this insane monster should have ever been able to obtain a firearm — ever." Loesch said that she spoke for herself and the millions of members of the NRA in saying that "none of us support people who are crazy, who are a danger to themselves, who are a danger to others getting their hands on a firearm." The NRA does believe there is a need to strengthen background checks, and for state and federal law enforcement to follow up on "red flags," such as social media postings as a form of prevention, she said. Loesch also took aim at what she sees as flaws in the National Instant Criminal Background Check System, citing a fact that states are not federally mandated to report convictions to the system. The spokeswoman argued that last week's shooting as well as one last November in Sutherland Springs, Texas, could have been prevented by more thorough reporting to the database. In Sutherland Springs, the gunman killed 26 and was able to purchase firearms because the Air Force failed to submit his convictions on domestic abuse charges while enlisted. Students, teachers and parents of victims asked Loesch about the actions the NRA is taking to prevent more school shootings. Loesch noted that the NRA supports banning bump stocks and promotes safety in schools with its National School Shield program that focuses on "improving school security in an effort to help prevent national tragedies at educational institutions in America." "It's up to the school and the parents of those schools if they want to use those resources and use those suggestions," she said. "If [schools] want to have armed guards, if they want to have retired military, if they choose and teachers volunteer to be armed...that's up to each individual school ... but if they also want a solution that doesn't involve firearms. If they want to talk about checkpoint systems, if they want to talk about reinforcing doors, the NRA, our resources are at their disposal," she said. Loesch was joined on stage by Broward County Sheriff Scott Israel, who responding to President Trump's comments in which he supported arming teachers with firearms, said, "I don't believe teachers should be armed. I believe teachers should teach, but that's exactly what's wrong with this country." When asked about raising the age limit for purchasing firearms, Loesch defended the NRA's position.